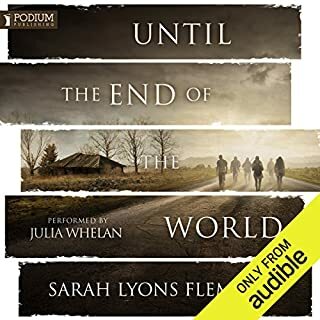 The number one best-selling trilogy is now available as a single audiobook! 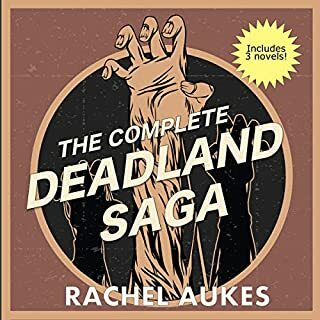 This audiobook contains 100 Days in Deadland, Deadland's Harvest, and Deadland Rising. 100 Days in Deadland: The world ended on a Thursday. Deadland's Harvest: It has been 100 days since the zombies claimed the world. Cash, along with 42 survivors, have found safety in the secluded and well-guarded Fox National Park. Deadland Rising: It has been nearly one year since the zombie hordes claimed the world. With 99.7 percent of the Earth's population dead and gone, the few who remain struggle to survive in an empty world. The scattered. The leftovers. These are their stories. 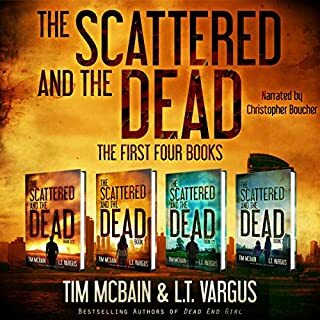 This collection contains the first four volumes of the Scattered and the Dead series, audiobooks 0.5, 1.0, 1.5, and 2.0. Army veteran Lee Riker is staying in an Atlanta shelter and supporting himself with the odd carpentry job when his sister, Tara, summons him home to Indiana for the reading of their mother’s will. Riker boards a Greyhound bus in Atlanta with his duffel bag, less than $200 to his name, and a secret he must protect at all costs. Riker makes it to Middletown only to learn his sister has recently witnessed a gruesome death. 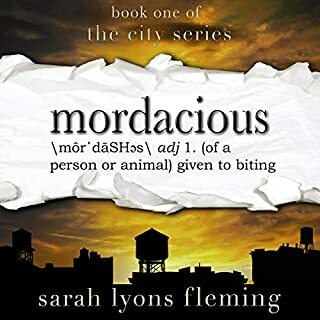 Insisting she saw the victim rise from a pool of his own blood to attack the Samaritan rendering aid, Tara floats the idea that the man may have been a zombie. Trapped in the shower by her undead husband, Morgan prays for rescue but quickly realizes she's on her own. She escapes, only to find that the horror has spread and now threatens everything she holds dear. With each passing moment, death becomes more certain. Logan returns to his childhood home and teams up with Max, an army deserter racing against the clock to save his family. When the infection outruns them, they face the real possibility that everyone they know is already dead. Or worse, undead. Amy is watching TV when the world is attacked by Them. Most of the population is overtaken, but Amy manages to survive - and even rescue "Baby" a toddler she finds in an abandoned supermarket. Then, after years of hiding, they are miraculously rescued and taken to New Hope, a colony of survivors living in a former government research compound. While at first the colony seems like a dream, with plenty of food, safety, and shelter, New Hope slowly reveals that it is far from ideal. And Amy soon realizes that unless things change, she'll lose Baby - and much more. Ian and Lance are typical All-American teenagers: good at sports, martial arts, smart, and girl crazy. Best of friends, they are inseparable, when suddenly their lives are shattered. A meteor lands in Greenland with no warning, and with it comes new life. Ian and Lance's parents are stuck in Hawaii when the riots close in on their home. With their parents halfway across the world, the boys are abruptly forced to forsake their childhood in order to survive. It spread fast - no time to understand it - let alone learn how to fight it. Once it reached you, it was too late. All you could do is run. Rumored safe zones and potential for a cure drifted across the populace, forcing tough decisions to be made. They say only the strong survive. Well, they forgot about the smart, the inventive, and the lucky. great story, can't wait for the next round! It's been three months since Amy escaped New Hope. Since she's seen Baby, or Kay, or Rice. And she's been surviving on her own, like she did before she was "rescued" and taken to what she thought was a safe haven. Then, in the midst of foraging for supplies, her former fellow Guardian's voice rings out in her earpiece. And in a desperate tone, Kay utters the four words Amy had hoped she would never hear: Dr. Reynolds has Baby. When people started getting sick, they thought it was just the flu. My roommate, my boyfriend, my family ...they're all gone now. I got sick too. I should have died with them-with the rest of the world-but I didn't. I thought witnessing the human population almost disappear off the face of the earth was the craziest thing I'd ever experience. I was so wrong. My name is Dani O'Connor, I'm twenty-six-years-old, and I survived the ending. Like watching the Orange County Housewifes. She thought she was prepared for the end of the world...until it actually came. 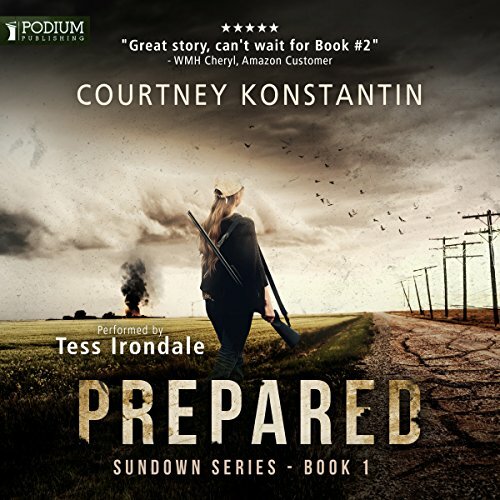 Alex Duncan is a mother, a sister - and the daughter of a doomsday prepper. She always thought her father was insane, raving about an apocalypse she never believed in, but when a plague hits the United States and the dead no longer stay dead, Alex discovers heeding her deceased father’s advice is what will keep her family alive. Before he died, Alex’s father created a compound in Montana just in case situations like this arose. Hell has arrived on Earth. The dead walk, hungry for human flesh. Living in a highly populated city like Las Vegas makes the reality of the plague imminent to Alex. With little time to spare, Alex must make split-second decisions to prevent her family from being devoured. Facing the end, Alex has three goals: Escape Las Vegas. Get to the compound. Survive. As the outside world crumbles and grows darker, Alex faces adversity from not just the infected, but the uninfected as well. Government assistance is nowhere in sight, and rumors fly that the nation’s only solution to the growing plague is execution. Not everyone will outlast the plague. Doomsday is here. Will Alex be up to the challenge, or fall, and rise again as one of the undead? Bonus! Includes Alone, a Sundown series novella. 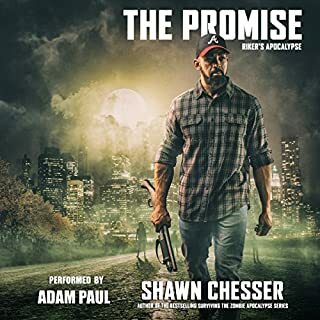 The majority of post apocalyptic prepper books typically deal with EMPs, and most zombie books don’t have preppers. This book combines the 2. This author does a great job developing the characters and focuses on multiple family dynamics that Is refreshing. Also, there are a lot of post apocalyptic books that are only 5-7 hrs, but this one is over 10, so I get my moneys worth. The narrator does a great job with her voices, especially with the kids. DOWNSIDE - I have to wait for the next book to come out. Imagine someone watching one episode of Walking Dead and one episode of Z Nation and then thinking to themselves I can write a zombie book! Yup its that good. (SARCASM) After talking with a friend we decided this book could be a drinking game. Every time she mentions being a prepper, being prepared or making a plan take a sip of beer. Then every time she does something stupid take a shot. You would be passed out cold in 2 chapters. The author is so repetitive and boring that I started praying for them to die just so the book would end. I can't say more without giving spoilers. I'm hoping you listen to my warning and don't waste your credit, but just in case I won't ruin the magic that is this book. (more sarcasm) The narrator does a good job, I just hated the baby voices. If you love the sound of whiney children then you are in for a treat. 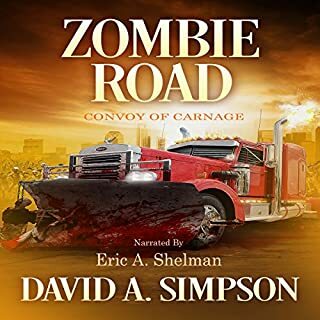 I love audio books and looovvve zombie apocalypse stories and rarely give bad reviews but this book should come with a warning label. Don’t pass this one up!! Excellent story-excellent execution of the story- and a perfect start to this amazing series. It will end up being 6 books in all. I asked the author and she told me 6. If you love action and laughing and crying in a read this series is for you!! I started the book on audible and had to return because the kids voices were intolerable. I read on Kindle instead and pretty much enjoyed it. Severe overkill on the words prepared, prepper and priority. Overall the story was pretty good and I was invested enough to read the series. I wouldn't waste an audible credit on it though, the kids voices are too grating. Excellent book almost ruined by the introduction of a male possible love interest for the female lead. Suddenly the previous 2 leads became absolute jerks. Almost abandoned listening as a result. Narrator did very good job. This is the first book in the Sundown series. It features Alex who along with her sister Max and brother Rafe were raised by a prepper obsessed father. He was sure a major event was going to bring down the world and he wanted his children to be prepared. He ingrained prepping into his children. Before the father died, he built a compound in Montana for them all to retreat to when the event happened. Well, it happened. Alex, her husband Brent and her two children live in Los Vegas. Brent flew home from a business trip. He had a layover in Orlando where riots were happening, supposedly from people taking a drug. After he got home in the middle of the night, Brent went to bed downstairs in the den because he was sick and shivering. By morning things became tragic. Alex and her two children bugged out for Montana. They had to fight their way across several states. Her main goal was to keep her children alive. Alex was skeptical of people but she was also very caring. They ran into very bad people and also good people.. She picked up two more children, orphans named Easton and Candice. She also picked up an older woman, Margaret, and a man named Marcus. Toward the end of the book she is separated from Easton and Candice by a large group of zombies. At the end of this book is a novella called Alone. It is about what happens to Easton and Candice when they were separated from Alex and her clan. Very predictable, if you want a cheesy fairy tale ending to the zombie apocalypse story, then read this. Everyone falls in love, the family lives, the family saves everyone. The zombie apocalypse through rose tinted glasses. Hell, the survivors even have hydro flasks as water containers. I have bought all 3 books because I was waiting for the author to write something original or even remotely interesting and off the beaten path, or to change my mind opinion on this series, but nope, she remained a disappointment. Overall this book is great. I love the idea of the apocalypse through the eyes of a prepper. The characters are interesting and there’s not too many details thrown in that muddy the story like so many I’ve read before. One thing that stands out though is the authors occasional need to describe a scene multiple times. Also an obsession with certain words which get used so many times that they loose all meaning. For example I will probably be cringing at the word “meal” for months. It is used SO many times!!!! Would definitely recommend this series though. Don't waste your credit. Legit I cannot finish this book. I am SO freaking bored! All that happens is her talking about being a prepper, and just ugh! If I have to hear "bowie knife" one more time i'm going to scream.